The bakery relocated to the back of Epcot’s France Pavilion last year, and gained quite a bit of real estate in the process. And it’s a good thing — because it has continued to grow in popularity through the years. Anyway, I sampled a pastry there last Fall that I’ve returned for time and time again…and it’s finally time to tell you about it! At first glance you might be unimpressed…but ohmigosh as soon as you try it you’ll be a convert! Let’s goooooo! 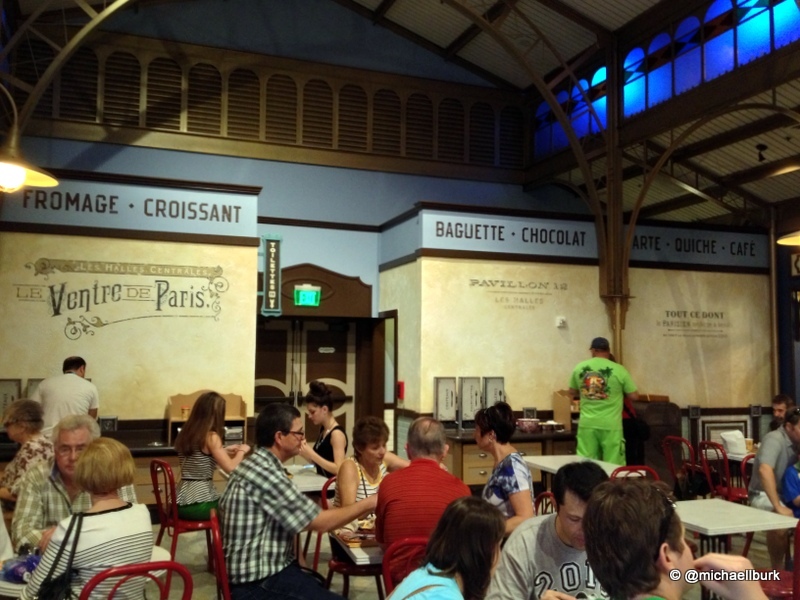 If you haven’t meandered through the France Pavilion lately, you should! There have been some interesting changes to this corner of World Showcase. The area that formerly housed the Boulangerie Patisserie is now L’Artisan des Glaces, home of some of the best ice cream you’ll taste in Walt Disney World. And the back of the France Pavilion now houses Les Halles. 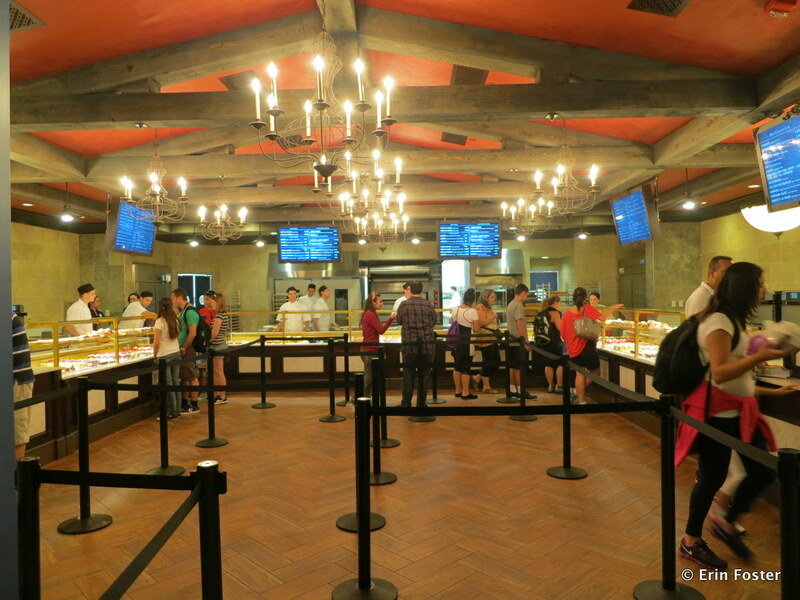 The move greatly expanded the ordering area, giving guests a little elbow room. But the cases are still mirror images of one another — pick either the right or the left, and you’ll see the same offerings. There are menu boards above that give you the rundown on what’s available. But the cool thing about Les Halles is that you can also see pretty much all of the menu items right in front of you as well. And seriously, it can be tough to decide! 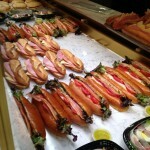 But today, we wanted to take a closer look at two items — one of our favorite pastries, and a sandwich that’s new to us. So, first up, let’s talk about the heavenliness that is that pastry I mentioned in the first section of this post. There’s a picture of it below. Pretty humdrum, eh? Well, don’t judge a book by its cover. The Frangipane Triangle is KILLER. 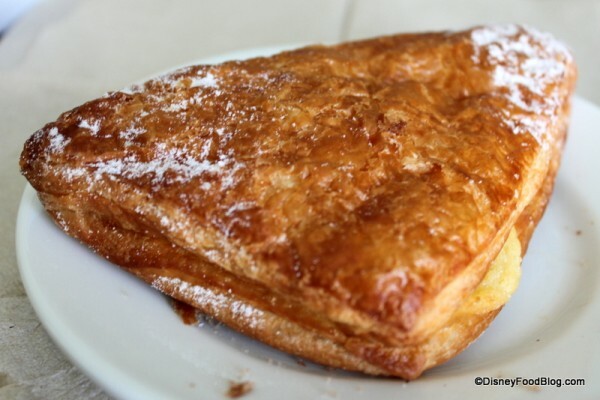 I enjoyed the simple pastry immensely at last year’s Parisian Breakfast — one of my favorite events at last year’s Epcot Food and Wine Festival. Rich, buttery pastry gives way to the most beautiful Frangipane Filling. AAAAAAH. It’s AMAZING! I CAN’T EVEN TELL YOU! For those who think this is marzipan and want to say “I don’t like marzipan, so I won’t like this,” go right ahead. More for me. But you’d be totes wrong. Frangipane is an almond flavor filling that’s full of butter, sugar, eggs. All things incredibly good and fabulous. Marzipan is an almond candy made with powdered sugar and glucose. NOT the same. REALLY not the same. Anyway, I grabbed a Frangipane Triangle just to see if it was as good as it was last Fall and, yes. It was. It was better. You will thank me when you have it. Send me an email and let me know how good it was and if you have any leftovers you can mail to me. Now, after I indulged in the deliciousness, it was time for something that would stick to my ribs a bit more — a sammy! 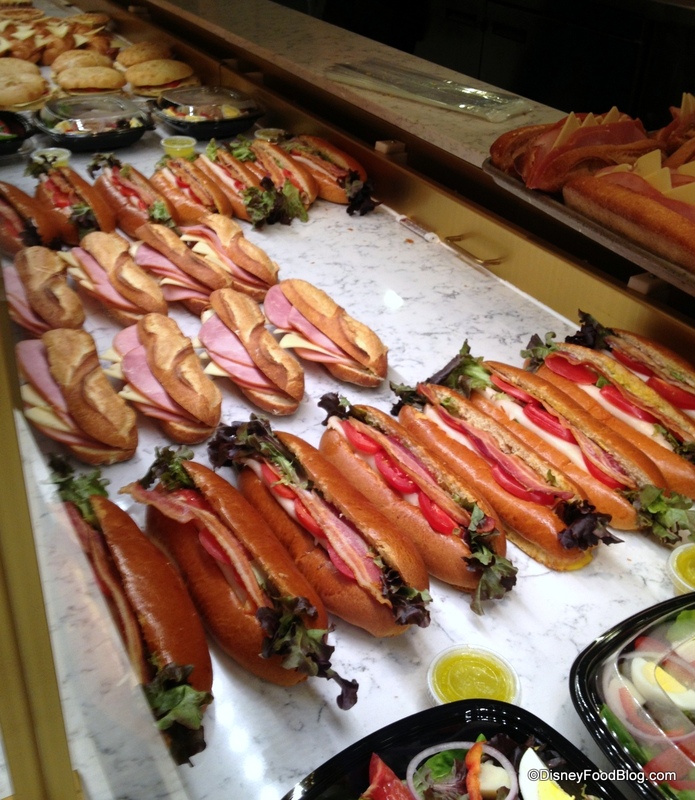 Normally, I go straight for my favorite — the Jambon Beurre. With Ham, Gruyère, and Dijon Mustard Butter, this classic sandwich is outta this world. But today, I opted to try one of the new sandwiches I saw on the line– the Brie and Apple Sandwich. The sandwich is served on Multigrain Baguette Bread. (Already healthy!) It was split down one side in customary fashion, and the fillings were layered in. And you know those daydreams where you’re sitting in Paris at an outdoor cafe and indulging in real, fresh-from-the-farm European gorgeousness? The way sandwiches are supposed to be made? Without all the processed stuff? Yep. That’s what this is. Soft sliced Brie and thinly sliced, poached Apples were layered together beautifully. This wasn’t just a sandwich. It was art. Get it heated so the brie and apples all mush together — so, so good. Now, do you feel like you’ve been eating in a theme park? I didn’t think so. Les Halles continues to wow. They walk a beautifully balanced line between offering classic French fare, and spicing things up a bit with new offerings. 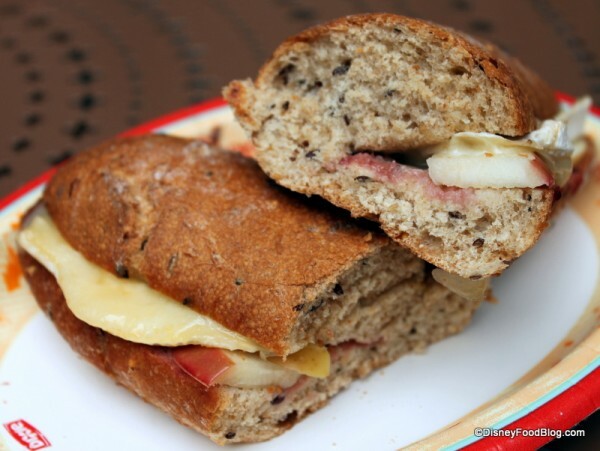 While I love a good chewy Demi Baguette and Butter as much as the next girl, the Multigrain Bread was a nice addition. And who can resist an excuse to eat apples and brie together? 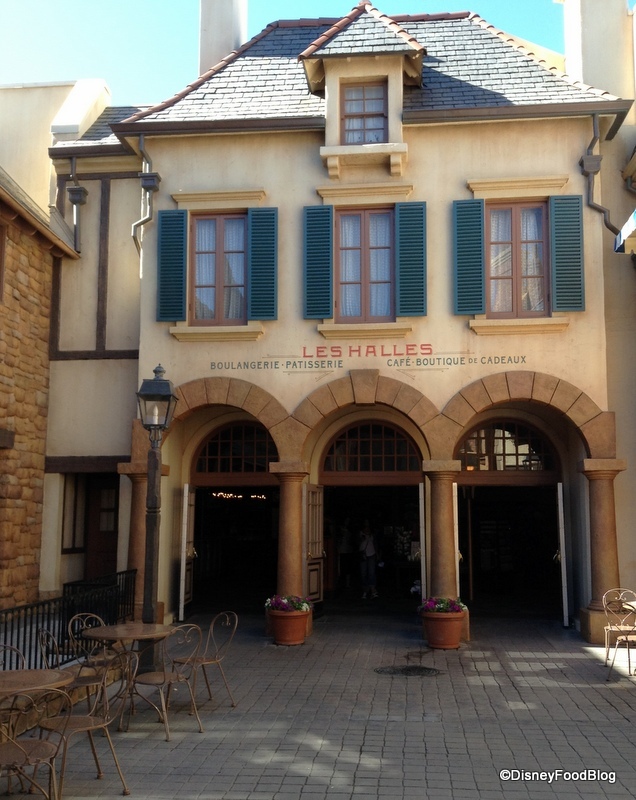 If you love French food, head to the back of the France Pavilion and give Les Halles a try. Send the kids off with Dad to ride Mission:Space and escape for an hour. You’ll swear you’ve touched down in Paris — if only for a moment. And sometimes that’s good enough. Is Les Halles Boulangerie Patisserie one of your favorite stops on your food tour around the World? Leave a comment and tell us about your favorite items here! 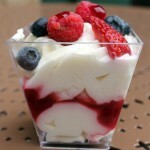 « Get Even More Disney Food in Your Life: Subscribe to the Disney Food Blog Newsletter! You have may tacit permission to return, daily if you like, to Les Halles until EVERY SINGLE THING IS REVIEWED. This is need-to-know information! Gorgeous review! I SO know where I am heading and what I am eating this Saturday!! 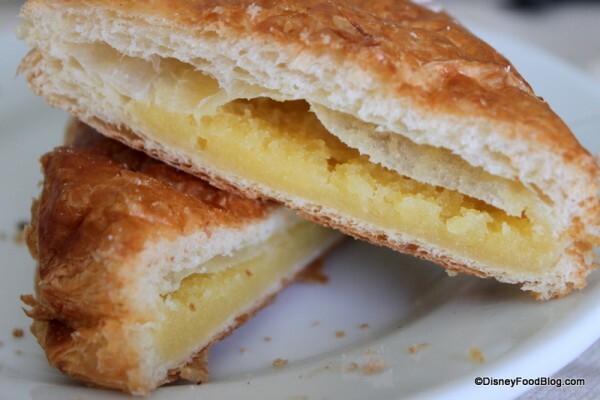 The frangipane sounds amazing….I’m a huge fan of all things marzipan, so I can imagine that this is right up my ally. BTW–marzipan is almond paste, eggs, and powdered sugar. The butter probably just made it a softer/smoother version of the stuff that most people associate with the hard/dry-ish candy. Perfect timing! I was looking for an updated menu for Les Halles and this article was on your front page. I want to try everything! Oh my goodness, I’m drooling. I cannot wait to eat here in the fall!! 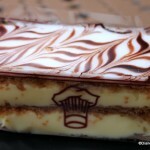 I’m so glad you did this review or I wouldn’t have known about that frangipane, looks SOOOO yummy! Now my dilemma will be what to get >_< ! Jenn — We ate a LOT that day — much more to come! Yum! There is a great, locally owned, burger place where I live where you can get a burger, black bean burger, or grilled chicken sandwich with a variety of awesome toppings. I often opt for the grilled chicken with apples and brie; it’s delicious! I hadn’t thought of trying that without the meat, but I’m sure it would be very good. 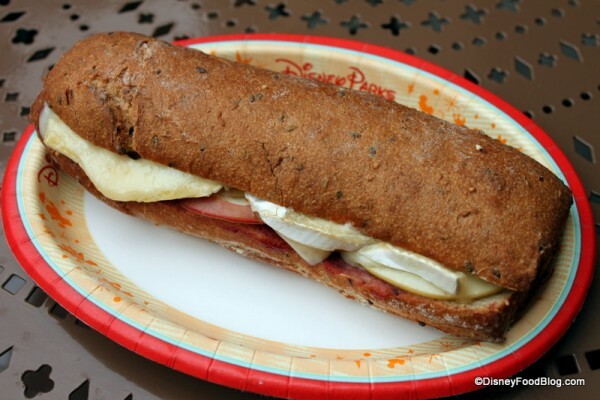 That sandwhich is perfection…i guessing as I have never been to WDW 🙁 I also feel like this is one that I probably won’t ever try at home, just wouldn’t be the same. I’ll have to give the frangipane a try. Perhaps it will make up for the loss of my beloved pithivier. I love the Frangipane Triangle. 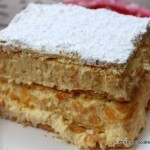 It’s my go-to treat now that they changed my beloved Napoleon and totally did away with the amazing Marvelous. This is one of my family’s favorite places to go in Epcot. But my daughter and I made the mistake of going in hungry while my son and husband waited at a table. A small fortune later, we walked out with two trays overflowing with food, lol. EVERYTHING looked so good (and was!) we couldn’t make up our minds what to get so we got a lot. We actually were kind of embarrassed once we had it all on this tiny table with 4 people. But oh well, the looks on their faces and the good laugh we had made it worth it. There is nothing we tried that we wouldn’t eat again. Earlier in December I had some lovely pumpkin soup served in a bread bowl. I loved it. It was creamy and thick and delicious. Have you tried that? Elizabeth — Yes, indeed. We have a review of it from when Les Halles first opened. My favorite place! I had a bright pink macaron that was much bigger than a typical one. It had lemon cream, raspberry sauce, and fresh raspberries in the middle. I went back three more times during our trip to get another one. After reading this and seeing the pics, I will have to give it a try in September. We usually eat at Sunshine Seasons, but may have to forgo it this trip to fit this in. Already love the Creme Brule (my mother’s name sake). I can taste it now Brie and Apple Sammy, Creme Brule and a Grey Goose Slushie. HEAVEN! Did you get the Frangipane Triangle warmed? Do you know if you can get items in a bag or to go container? Sometimes we eat leftover dinner for breakfast the next morning but I would love to buy a few things from here & have them for breakfast the next day! 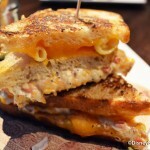 AJ, you simply MUST try the Croque Monsieur. My wife and I wasn’t keen to stop in Germany for our quick-service meal (like I did) and so went ventured over to France to check out Les Halles. She picked up a Croque Monsieur, and let me tell you, as someone who is not normally a fan of ham & cheese, this sandwich absolutely blew me away. There are no words that I can put together to describe just how good it is, so go try it and see for yourself. My mouth is literally watering thinking about it. Delicious.